Extant theoretical insights—mostly derived from studies of prominent revolutions in large countries—are less useful when applied to the unfolding of revolutions in small states. To understand why revolutions happened in the latter, a framework is needed that takes into account geography. For small states, geography is more than dotted lines on maps. It is the source of intervention and vulnerability. Deeply mired in history and memory, states’ geographies shape their distinctive identities and have great impacts on national political trajectories, including revolutions. Thus, to provide understanding of revolutions in these countries, no analysis could be complete without taking into account their places, understood in physical, ideational, and historical terms, within their regions and the world. The case of Laos is used to suggest a geographical analysis of revolutions that provides overlooked insights into the origins, processes, and outcomes of revolutions in small, vulnerable states. I thank Vince Boudreau and Irving Leonard Markovitz for valuable conversations and comments on an earlier draft. For inspiration and feedback, I am indebted to Forrest Colburn. 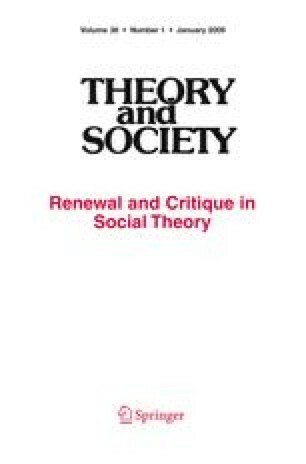 I also thank John Foran and the Editors and reviewers of Theory and Society for pushing me to clarify the theory and case study. Aditta Kittikhoun provided crucial research assistance with the Laotian revolution. Finally, I am grateful to Ammala Sipraseuth—for the support as well as the toughest critiques. Any error of fact or interpretation is mine.